Repetition in training breeds success in life. This is the mantra followed by the most successful warriors, businessmen, and individuals in life. Whether they know it or not, habits learned well and with consistent, proper approach lead to a much easier transition when emergencies occur. My life began on a farm in Illinois, my dad was for all intents a sharecropping field hand at the time, winters meant no work, no income, so we trapped muskrat, beaver and hunted raccoon for pelt money. In addition, we often trekked far and wide for wood for the furnace. Mother canned food throughout the year and we took advantage of the overflow sweet corn, wild rhubarb, asparagus, and a very large garden. These habits of storing for the lean months stuck with me as I grew older and moved out on my own. You could say I have been a “prepper” my entire life, and yet, daily I learn something new or come across wonderful aids that easily fit a very well camouflaged hole in my own preps. It is quite easy to become complacent in many areas, especially training with firearms. The LaserLyte® Laser Training kit allows you to use your own handgun or one that is quite similar to yours in training both effectively and efficiently. Doing so within the confines of your house wherever that may be is amazing. All good firearms trainers will instruct their students to use dry fire practice regularly as the mechanics’ alone form habits, the good or bad of those habits are up to the trainee. our goal is to put rounds on target and do so in an accurate manner. Accurate, smooth reaction or action will with consistent training evolve into accurate, smooth, fast reaction or action. This is where the LaserLyte® becomes essential to one’s training kit. Rechargeable batteries, a small solar panel, and add 4lbs to a vehicle or house kit and you add thousands of hours of viable training to your families training. Be proactive, be smart and always look for advantages in even the smallest areas. After unpacking the LaserLyte® and the target, (I got the speed/accuracy drill set with the Glock styled handgun) it took less than 5 minutes to set it up and start shooting. Between myself, my wife, son, and daughter we have been enjoying this target setup and learning something as we do. Grip high and tight, a smooth press of the trigger, bring the gun up and allow your hand to naturally point into the target, speed itself comes after much practice. The best part is, we can easily use the same holsters we already have. My family carries Glock 19s, so our concealed rigs and OWB holsters easily work for the handgun itself. The weight is similar to a Glock 19, close enough to allow for solid training. Empty the Glock 19 is 23 ounces, 30 ounces loaded. The LaserLyte® is 15 ounces, having shot well over 200,000 rounds through my Glock 19, (replaced the barrel several times, and springs as well), the weight is close enough to easily allow transitioning from the training firearm into the carry gun. Pricing for these kits runs right around $300 dollars, and shipping is quick. The customer service is amazing, responsive and direct. When you consider that handgun ammunition runs between $200 and $400 for a 1000 rounds you will re-coupe training costs in money spent before the batteries die the first time. They have multiple handgun types, from revolvers through automatics as well as inserts for some handguns that allow the use of your own handgun and get practice in racking and shooting. They also carry a training kit for your AR platforms, which I will likely be purchasing now as well. Overall this is a worthy addition for training purposes alone to my families kit. And for the price, something I can easily recommend to others. Benefit versus cost, in the case of LaserLyte® the benefits easily outweigh the initial costs. Sticker shock is always fun, however, remember, how much you spend on ammunition and how much you could save by concentrating your mechanical training using this setup and saving ammunition for marksmanship on the range. 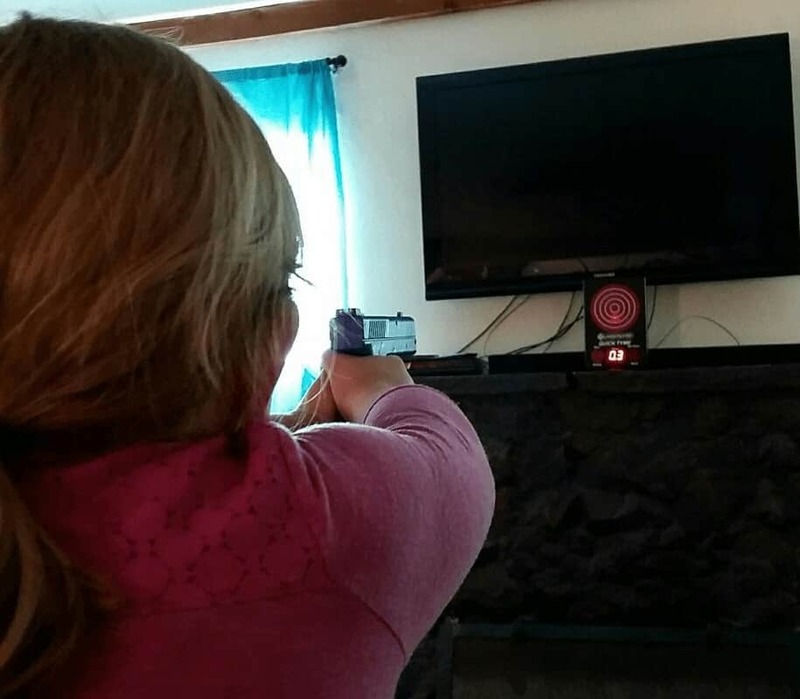 Cost can easily overcome when a benefit is shown and experienced, useful for ALL family members, my 7-year-old daughter who does shoot a Glock 19 but due to size is relegated to 20 rounds at a time, can, now practice function and ability and do so without the limitations of using precious gunpowder and lead. The similarity to a real firearm was well liked and mentioned by my wife, daughter, and son. Trigger pull was almost identical, weight felt good and they loved that they had feedback after shooting instead of needing to wait for a “Cold Range” to proceed to the target. Mechanics and repetition, absolutely essential in all firearms, knife, archery-related skills. This provides that at a reasonable rate and allows those who live in cities or states where restrictions to firearms use may be more severe. Highly recommended for East Coast, California, Hawaii preppers. Initial price can be shocking, save for a couple months and make the leap you won’t regret it. So in conclusion, I highly recommend this as a training implement for all pack readers. Honestly, you would only be adding value to your kit by doing so. Obviously, this is not a rig to stick in the 3-day pack or go bag, however, it is a great addition to your vehicle rig or house prep kit.